Ultra lightweight and waterproof golf shoes. 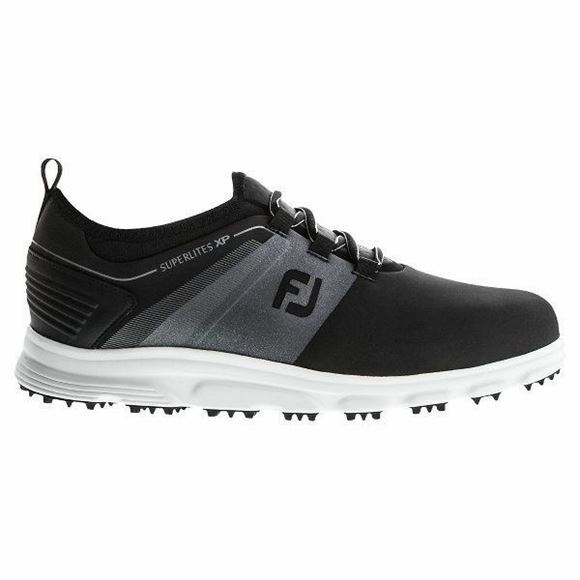 The Footjoy Superlites are exceptionally comfortable with fit bed heel technology and acts as a shock absorber while you are walking. In grey with black trim. 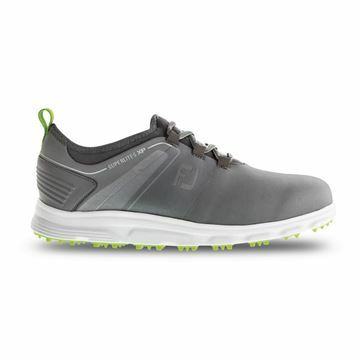 Ultra lightweight and waterproof golf shoes. The Footjoy Superlites are exceptionally comfortable with fit bed heel technology and acts as a shock absorber while you are walking. In black with white trim. FJ warrants that this golf shoe will be waterproof in normal use for one year. High performance mesh uppers provide breathability and lightweight comfort.